In its dignified, understated way, embroidery tells observers to take you seriously and pay the respect you deserve. Sophisticated and long-lasting, embroidery is the right choice for professionals needing to make a statement. Ready for Embroidery? Scroll down to learn how EASY it is. Benefit from the Corvallis Custom difference! Embroidery announces your professionalism and quality. It’s perfect for distinguishing you from your competitors. 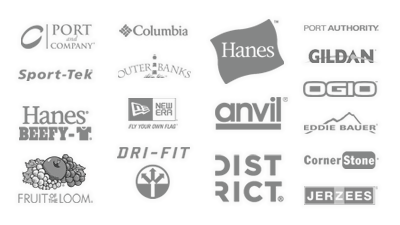 When done correctly, embroidery is a sophisticated and long-lasting way to set apart your brand or company. 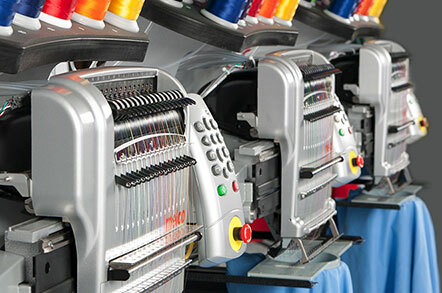 Our embroidery is done to order, and with decades of experience our embroiderers know what works and how to ensure each item looks its best. No order is too big or small. Let’s pair you with a Custom Project Manager and discuss your project. Contact us at any time or get started now by uploading your artwork files or requesting an apparel quote. Looking for short run printing (less than 12 items)? Looking for bulk printing (12+ items)?